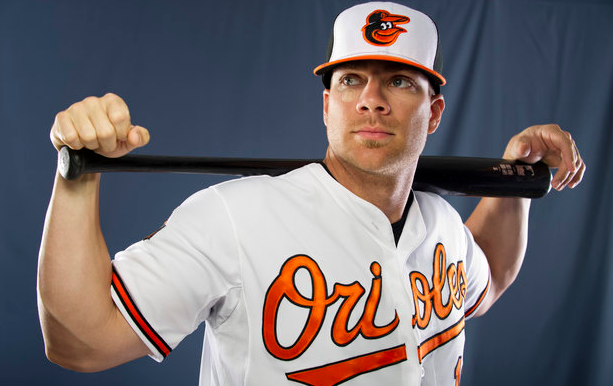 Chris Davis’s brutal season just got worse. The Orioles first baseman, a 53 home run revelation in 2013, has just been hit with a 25 game suspension for amphetamine use. Davis was only batting .196 with 26 home runs and 173 Ks for the year, although he had been a little better as of late. The suspension will cost the 28-year old the rest of the regular season and then the first eight games of the playoffs, assuming Baltimore gets that far. The Orioles, who have a ten game lead in the American League East, are virtually guaranteed a spot in the playoffs and still have a chance to catch the Angels for the best record in the American League. But they will have to do so without Davis. Further complicating the suspension is that Davis had recently shifted over to third base to replace the injured Manny Machado, with Steve Pearce, who’s enjoying a breakout season at age 31, manning first for the Birds. Kelly Johnson, who’s struggled in 2014, will likely be inserted into the lineup at third now that Davis isn’t available. The Orioles still have plenty of power — thanks to Nelson Cruz and Adam Jones — and Davis’s glove wasn’t really an ideal fit at the hot corner. So it’s possible the team doesn’t miss a beat, especially if Pearce can continue to hit and Johnson can be useful. But if they do make a deep postseason run it will be without Machado, Matt Wieters, who’s also out for the year with an injury, and now Davis. Something few would have thought possible going into the season, especially considering their division. Other players who have been suspended for Adderral– which isn’t deemed as serious as other PED use (hence the 25 game vs. 50 game ban) — include Phillies catcher Carlos Ruiz.